We feel proud to present the following prestigious certifications earned by Driver Tonic. These global certifications confirm the reliability of our product to the highest level. Driver Tonic is committed to offer the desired results to its customers always. 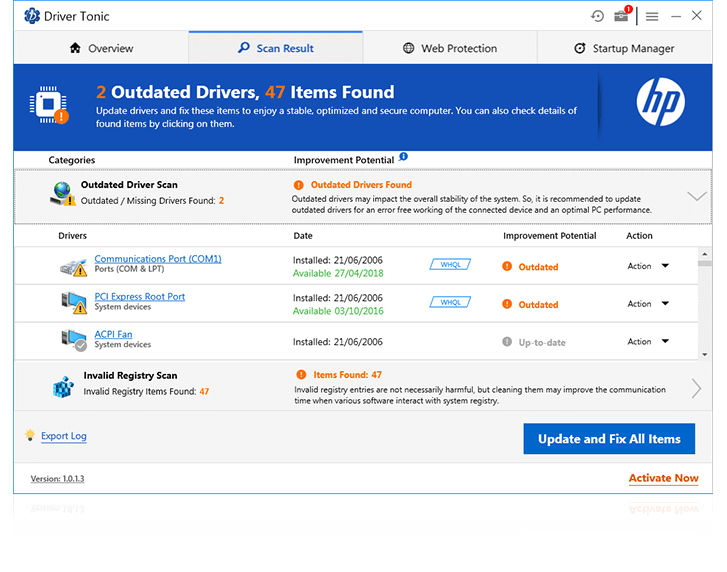 The AppEsteem certification of Driver Tonic ensures that it completely meets the standards and requirements of the most extensive security guidelines. It entirely passed the rigorous multi-level technical review to be called an AppEsteem certified app. When a device driver is not installed or is out-of-date, certain problems may arise while working with that device. 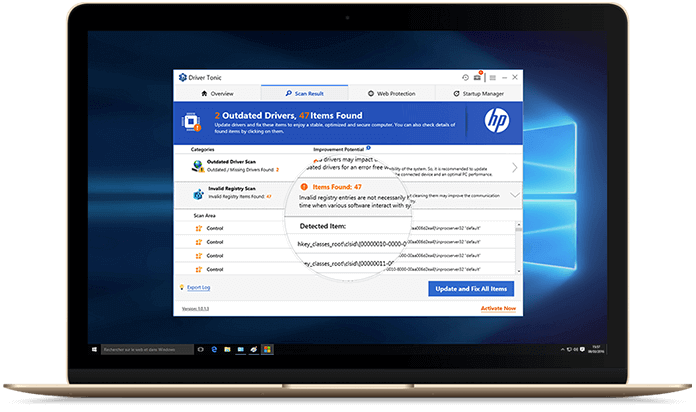 This smart driver updater feature scans your PC for all the outdated, missing or corrupt drivers. It then lets you install the latest drivers to fix hardware problems & improve PC performance. What’s more? 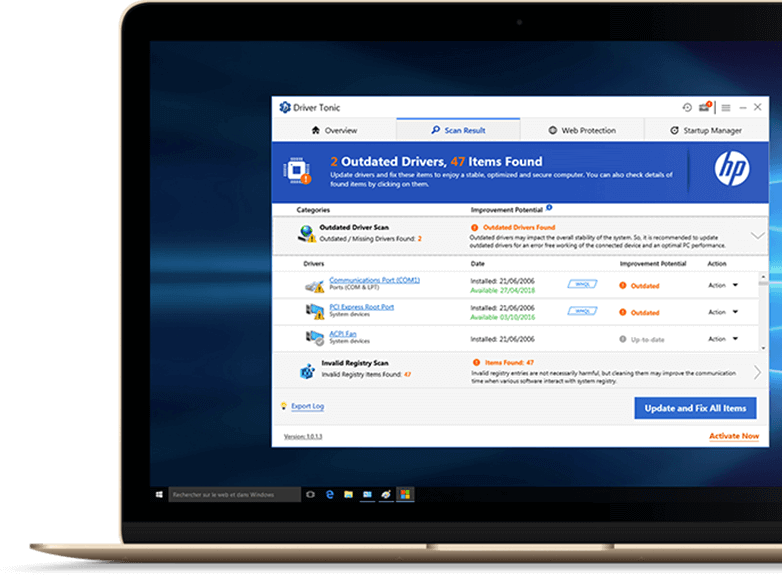 You can get the drivers from all the available vendors through a single platform! 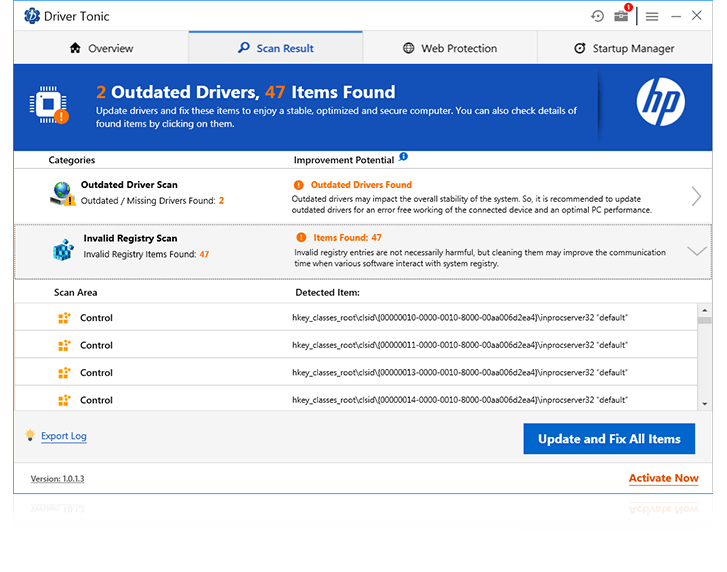 Driver Tonic is a safe driver updater for your system. 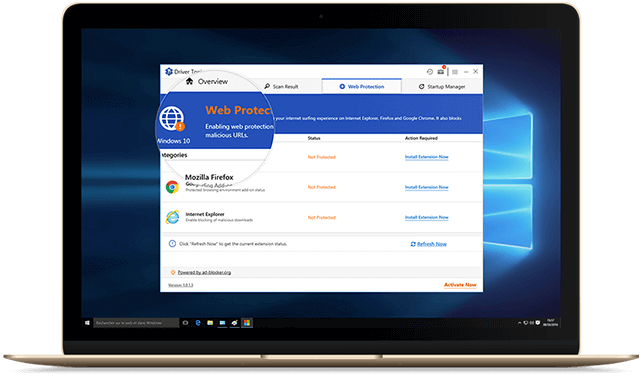 It is packed with many cool features to enhance the working of your PC and improve your PC experience. 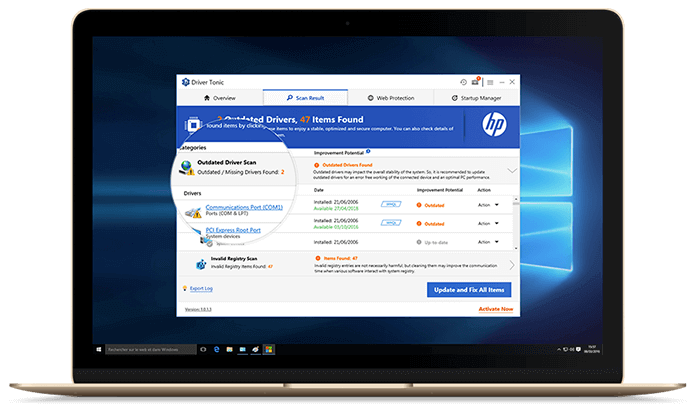 Update all types of outdated drivers on your system from a single utility to reduce hardware problems & enhance PC performance. Cleaning all the invalid registries can solve registry errors and highly improve your system response time. 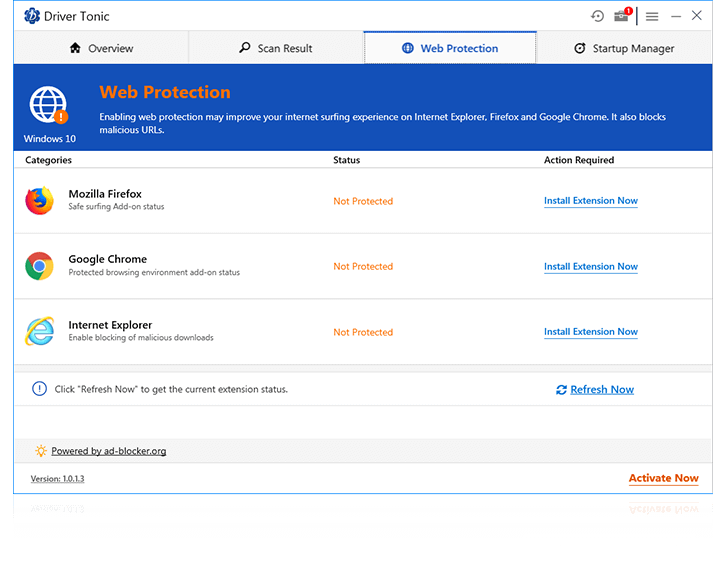 When you enable this feature, you can enhance your web surfing experience by blocking the vulnerable websites on all major browsers. 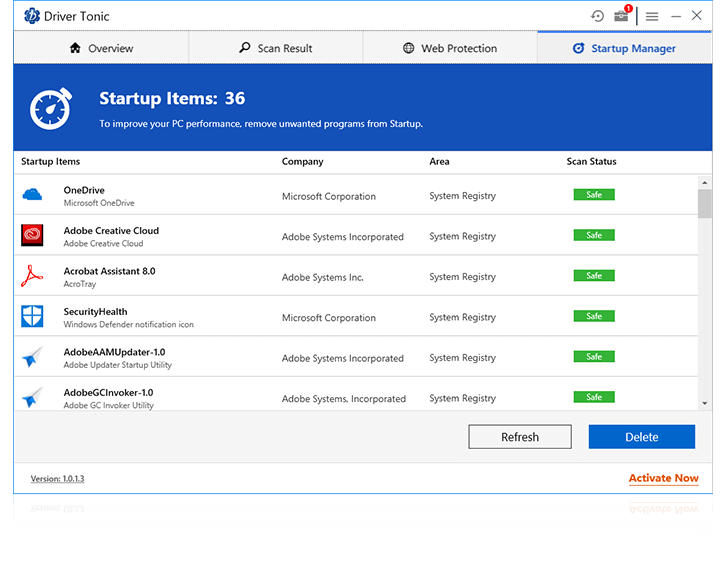 Improve the startup time of your system by managing and removing unwanted items present on your Startup menu. 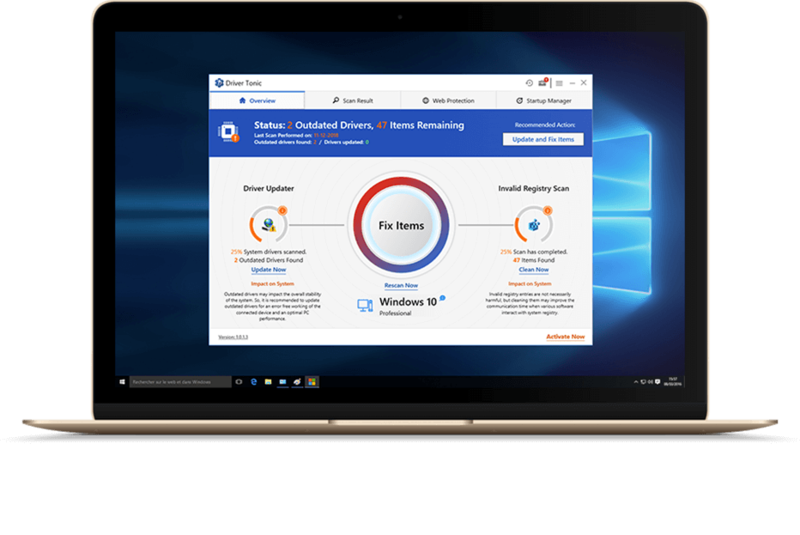 Driver Tonic can solve all your drivers and registry issues to improve the performance of your Windows PC and keep it running like a new one. It is the perfect partner for your system.